LaFontaine, Ind., Jan 15-Heart trouble was fatal to William Gibson Botkin, 77, at 3 p.m. Thursday at a Roann Nursing home where he had been a patient several months. Mr. Botkin, a life resident of Wabash county and Liberty township, was engaged in farming. He had never married. Funeral rites have been scheduled for 1 p.m. Sunday at a local funeral home. A.C. Spellman, Christian minister, will conduct services and burial will be in IOOF cemetery. A sister, Mrs. Maria Stevens, LaFontaine, is the only survivor. Often the family members who never marry are forgotten throughout the generations. So glad you included this obituary for a farmer who never married. 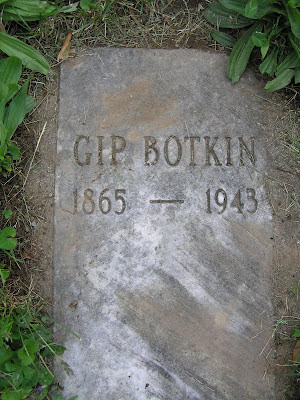 Thanks for posting this obituary about William Botkin.